Today I have a fun nail art look to share with you using a new technique. It's called fluid Nail art and is super easy to do. It's just a bit time consuming, but totally worth it. 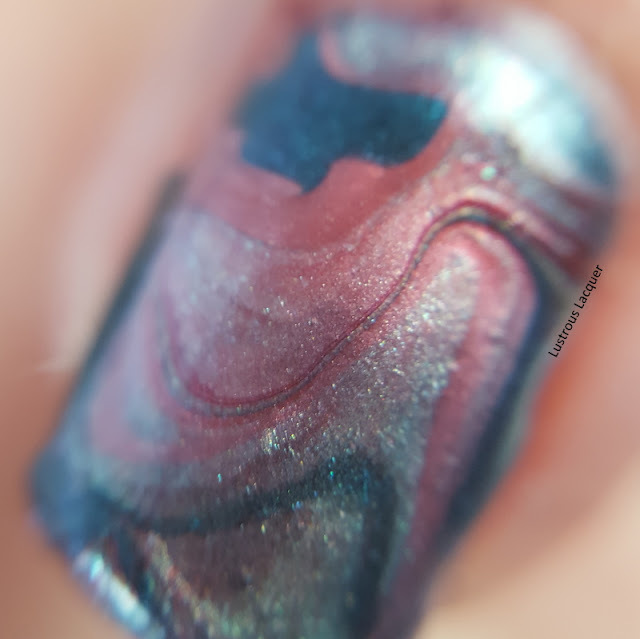 The finished look is a cross between a watermarble and a needle drag but with much less skill required. Seriously this look is so simple I'm kicking myself for not doing it earlier. What do you think? Pretty cool looking huh! And all it took to create this was some nail polish, a silicone mat and some time. 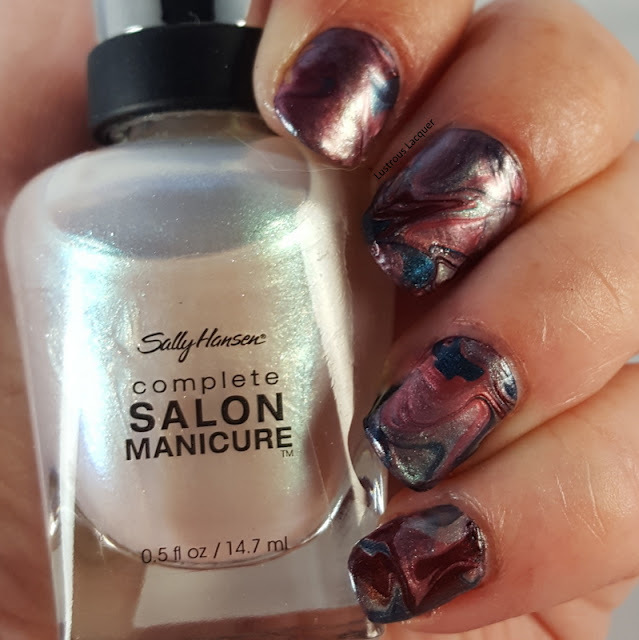 The polishes I used for this look are Hidden Treasure, Paparazzi, Black and Blue, Haute Chocolate and Raisin the Bar from the Complete Salon Manicure line. 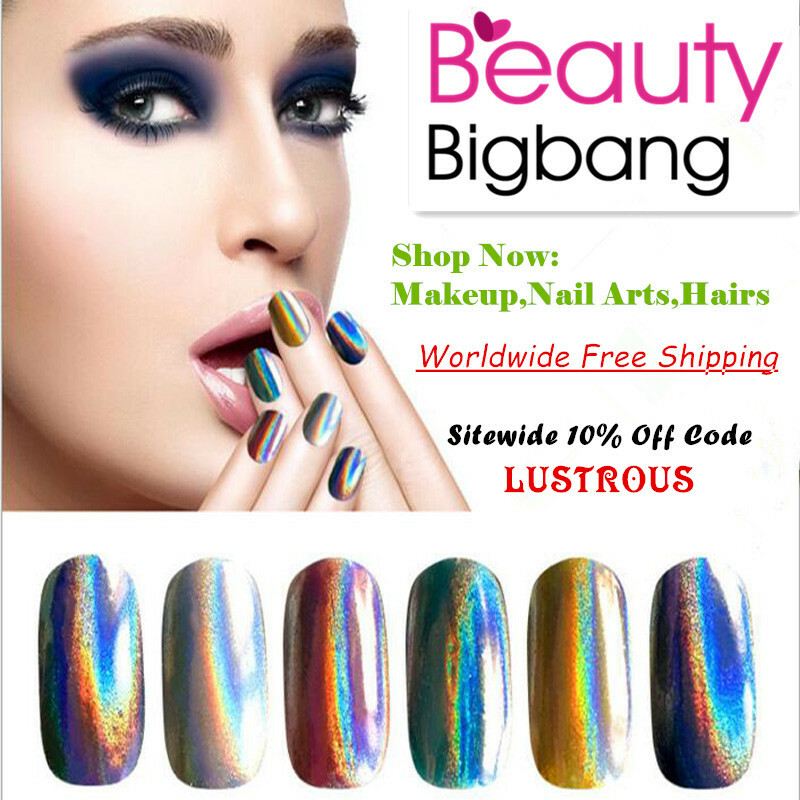 All 5 polishes have a shimmer finish and a gemstone tone to them. When I got back I was able to peel everything off my mat and cut it into nail sized pieces. A quick layer of Orly Bonder on my nails and I was ready for application. The toughest part about this manicure for me was the cleanup. The "decal" is a bit thicker than regular nail decals which makes them more flexible but also a little tougher to cut away the extra. 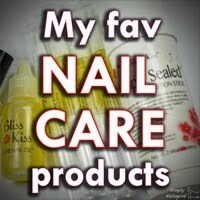 And it doesn't help that my little nail scissors is pretty much on its last leg and the darker polishes wanted to stick to my cuticles. But I love the way this turned out and I will be trying this technique again with other color combinations. What do you think of my finished look? 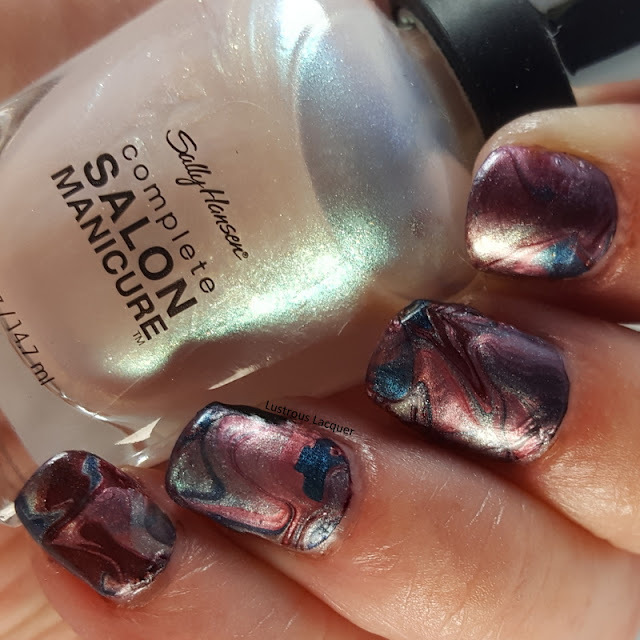 Have you tried the fluid nail art technique yourself? Also, don't forget to check out my previous post. There might be a prize in it for you if you do. Thanks for stopping by and Happy Polishing!